A wooden shed is a beautiful addition to your property. It looks good, has multiple purposes and the value added to your home far outweighs the investment of putting one up. But all of that work and money is lost if you fail to properly care for your shed and it is more than just making sure it doesn’t burn down. 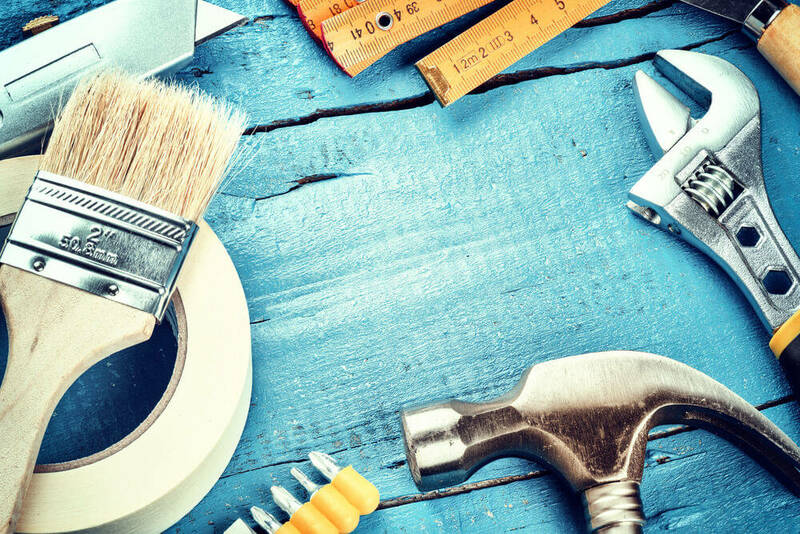 Wood requires regular upkeep to make sure it remains beautiful, functional and free of damage that can alter the overall structure of the shed. 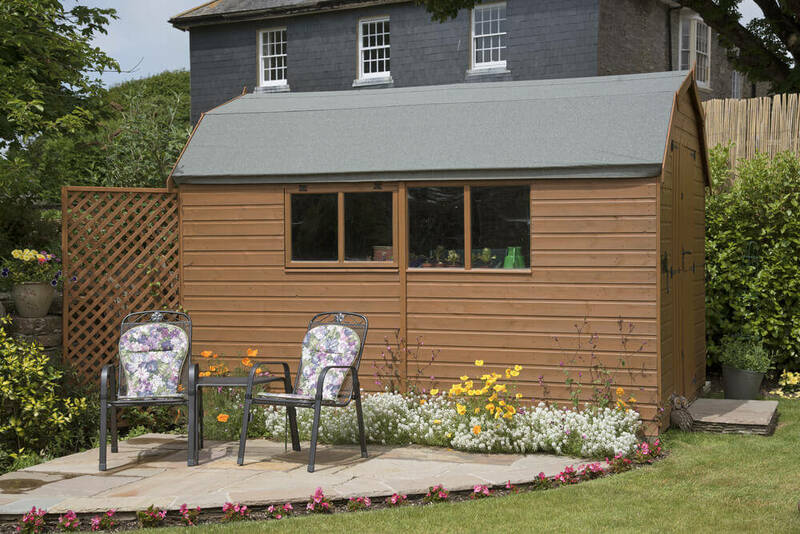 Here are the things you need to know to care for your wooden shed the right way. First, consider the wood you will use for your shed. Most lower end wooden sheds are built with plywood, which is chosen because it is cost effective, easy to work with and easy/cheap to replace. The downside is that it is a cheap material that can break down easily, doesn’t last as long even if properly treated and can lead to a low of problems down the road. A mid-range and better material is cedar. It costs more than plywood but not as much as other woods. It is easy to find replacement lumber because it is a very common one used in house builds. 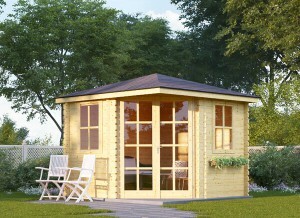 There are even many prefabricated wooden sheds that are made from cedar, so that makes construction easier. Redwood is not often used as a building material because it is very hard, rigid and heavy. However, it is a gorgeous and sturdy material that you can use for the doors on either a shed or garage. You can also get thinner plates of redwood to put on top of other materials in order to get the look for a fraction of the price. 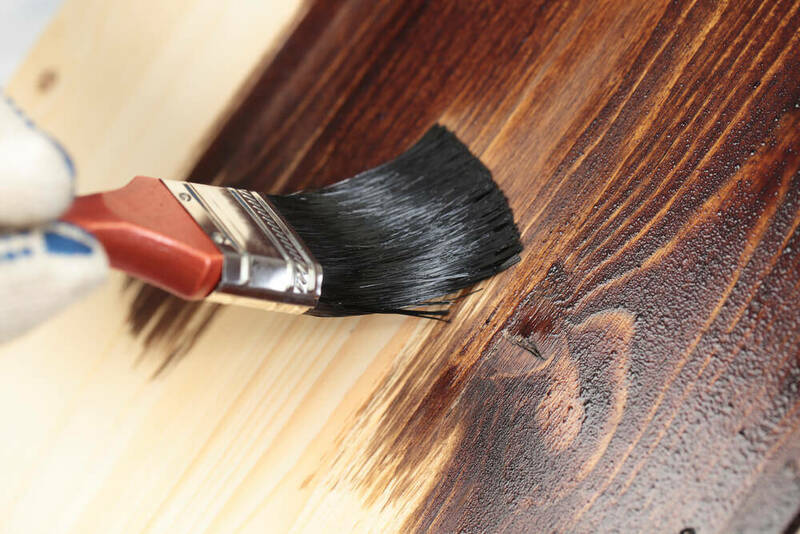 Many people do this to reinforce plywood and get a better aesthetic result. Other woods are available, but uncommon for building sheds. The next material to take into account is the stain. What you are looking for is wood stain that has been graded for exteriors, rather than one that is used for furniture. This gives it extra protection against the elements, such as heat, humidity, rain, snow and pests. Aren’t Stains Bad For The Environment? In the past it is true that stains were considered terrible for the environment and for good reason. The chemical fumes contributed to the depletion of the ozone layer (leading to global warming) and it was bad for the local ecosystem, such as animals and floral/fauna in the area. Over the past couple of decades new stains have been developed that are much more eco-friendly. Organic versions for the environmentally conscious are sold. Others have to meet certain environmental guidelines in order to be produced and sold. 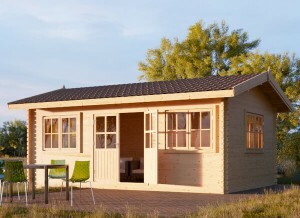 Now you can stain your wooden shed in a way that has less of an impact on the Earth, for less money. How Often Should I Be Staining and How Much Does It Cost? 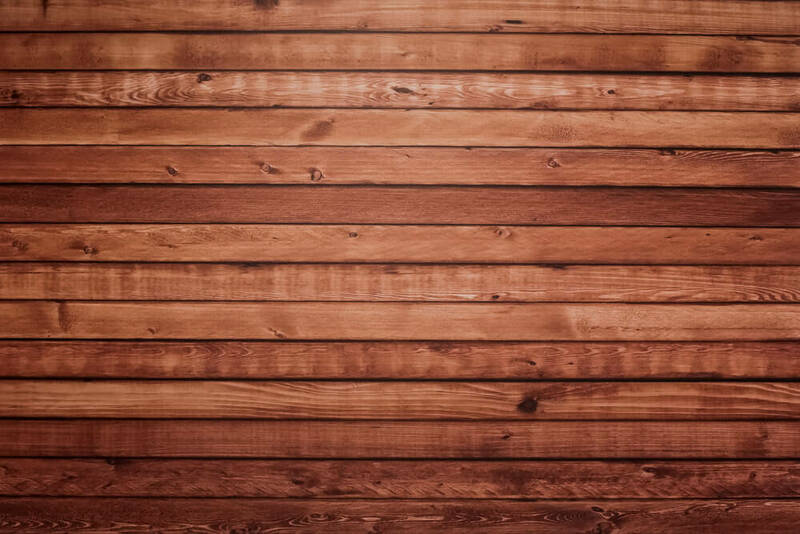 The frequency that you need to stain your wooden shed will depend on where you live and the average weather during each season. If you live in a wet, humid or hot region you will need to stain more frequently than if your region has a more mild climate. That is because sun, moisture and rain are murder on wood, breaking through the stain more quickly. 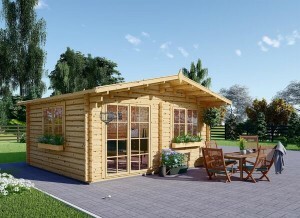 Cost will depend on the size of your wooden shed. 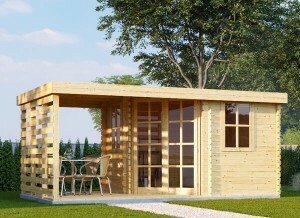 For smaller structures you can expect around $300 to $500. For larger structures or guest houses you may be paying as much as $5,000. This is rare and the middle ground for most of these projects is around $1,500. While that may seem like a high cost, keep in mind that this is only every few years. It is also an investment protection, as your shed is adding value to your house upon resale and increasing the marketability of your property. Does a Wooden Shed Need Rain Gutters? 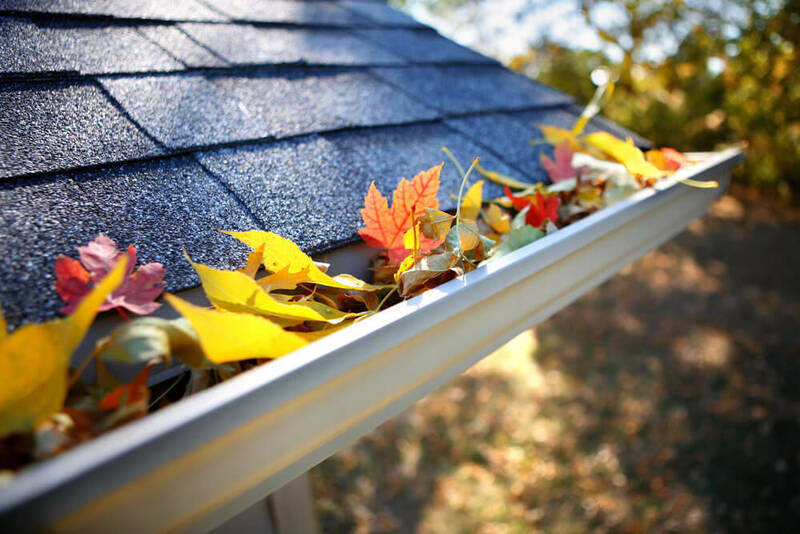 Rain gutters are usually seen as something you put on a house, not a shed. If it were a metal shed it probably wouldn’t be necessary. But wood needs to be protected from the rain and this is a super easy way to do it. Installing gutters will move rainwater away from the lumber and reduce the risk of moisture caused rot from occurring. You should also install a gutter extender. This is placed near the ground attached to the pipe. It sends the water further from the base of the shed, so puddles don’t gather and cause warping in the wood there. If you get a lot of snowfall it may also be worth buying some gutter covers. This will keep them from getting bogged down with snow in the winter, which can lead to roof damage. What Else Can I Do to Protect My Shed? Properly insulate your shed. If you can’t add insulation inside the walls, consider external insulation. Occasionally clean the outside of your shed to get rid of dirt and debris. Check for signs of infestations and lay a sprayed perimeter along the outside and inside to keep them from starting in the first place. Fix damage quickly before it grows. That is why looking around your wooden shed from time to time can save you a big headache later on. Keep the inside clean and season it each year; damage from the interior can impact the exterior if left unaddressed.